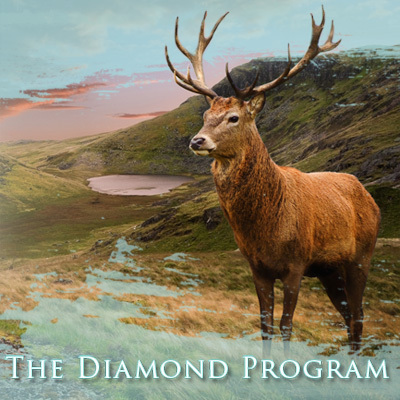 Diamond Program- "Dreaming and Embodying Your Vision"
Dream into your vision, harness your power, climb your sacred mountain. Transformation is your birthright! If not now, when? Facing a crossroad or difficulty in your life that you need healing, support and guidance with? Ready to truly empower and transform your life? Longing to clarify your soul’s purpose, vision & co-create a clear strategy and life plan? Praying for more spiritual connection, guidance and grace in your life? Ready to dream into and birth your true vision, climb your sacred mountain? Working together over a period of a full year allows ample time to really dive deep into all aspects of your life, clear away blocks to cause lasting, transformational shifts and changes in your life. Along with my ongoing support, spiritual coaching, and nurturing guidance we will create a strong vessel for your deep transformation. Nourish and tend to your roots, ground deeply with Mother Earth. Clarify your vision, identify your many “choice points”. Create a clear, powerful strategy for your life. Journey to non-ordinary realities for guidance. Work with the “medicine wheel” ways specific to your life issues. Spaces are limited, so if your heart says “yes”, commit to yourself today! You are well worth the investment! to set up a 20-min clarity call to see if we are a good fit.